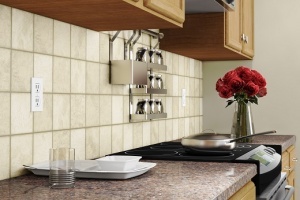 There is no easier way to update a dated kitchen than installing new countertops. Depending on the allotted budget you have for your kitchen remodel project, a wide range of countertop choices are available. To help meet the growing demand, Timco Construction proudly provides superior countertops in Tulsa. Formica Countertops are arguably the most common and affordable countertop material available for both commercial and residential applications. Because Formica is constructed from a mixture of laminate, it can be manufactured in a wide variety of colors and styles to match any existing or planned design. For most kitchen remodels in Tulsa, Formica countertops are generally utilized because of their diverse options and price point. Wilsonart countertops come in a wide variety of styles of materials to enhance and complement any bath or kitchen surface. Wilsonart currently carries over 500 designs that are available in quartz, laminate, metal and many more materials. To save on costs, many homeowners or business owners will opt for laminate countertops for both durability and affordability. LG HI-MACS has become a very popular countertop choice in recent years because of the durability and unique design they provide for both kitchen remodels and bath remodels. LG HI-MACS countertops are renowned for their easy maintenance and construction from renewable and sustainable materials. One unique advantage of LG HI-MACS is the ability to easily repair any damage that may occur to the countertop surface. Why Timco Construction for Countertops in Tulsa? If you are looking for countertops in Tulsa, Timco Construction is here to help. No matter what your kitchen remodel or bath remodel entails, we are sure to have the solution that works best for your individual needs. If you are ready to get started, please contact us or call us at (918) 779-7330 today!